Specialists say that leaf yellowing in Ficus is like fever in humans. It may have multiple causes, indicating both lack of one of the essential growth factors or other excess. It may also be a sign of a serious plant disease. 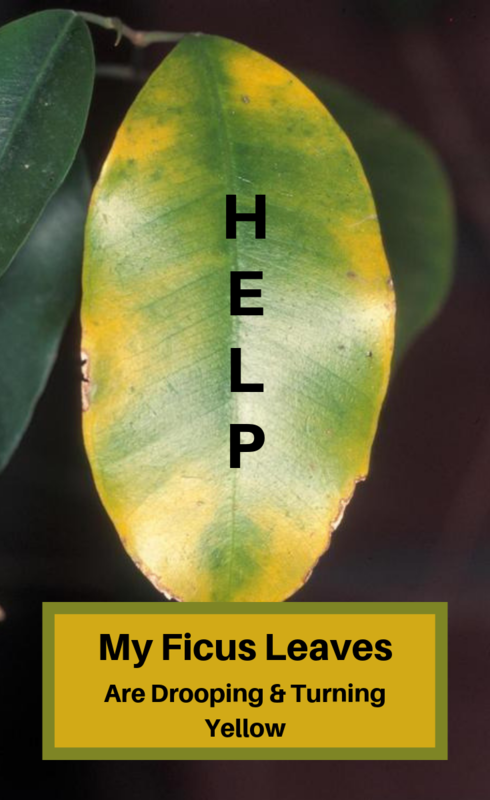 When it comes to ficus leaf yellowing and dropping it may be a sign of malnutrition. To prevent malnutrition, fertilize it twice a month throughout the growing season with a slower-release nitrogen-containing fertilizer (N), such as fertilizer sticks. Ficus leaves get wrinkled frequently, and then they will dry and fall. The most plausible reasons are direct sunlight exposure, irregular leaf spraying and leaving the compost to dry too much. This is a common problem with Ficus pumila, because other species need frequent watering. !!! Never use too cold water when you do the watering. There are many situations in which ficus may lose its leaves. When the plant reaches maturity it may lose its leaves starting with the base of the plant, which is a normal process. However, this is not a major inconvenience, given that the plant should be pruned to gibe branches. Instead, if the plant is young, the leaves may become yellowish, either because the soil has a bad drainage and the water is pouring on the surface or in the pot plate, either the watering is done less frequently than the plant needs. 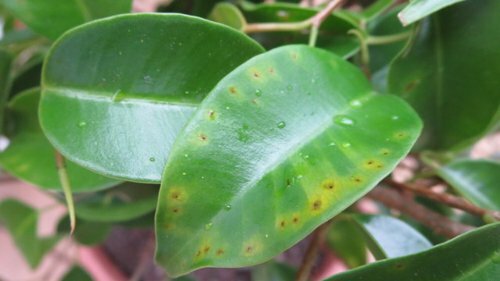 Other causes that lead to ficus leaf loss are either high temperatures or a dry atmosphere in the plant’s area. These things happen especially in winter, when the plant is shrouded by the dry air that comes from the radiators, but also in the summer when the plant is exposed to direct sunlight. Ficus leaves can also fall due to a thermal shock when the plant is moved from a warm space to a cold one and vice versa. Insufficient light also has a negative effect on the development of ficus. To have a vigorous and healthy ficus, regardless of the variety held, it’s ideal to keep the plant in a warm and relatively high humidity environment.